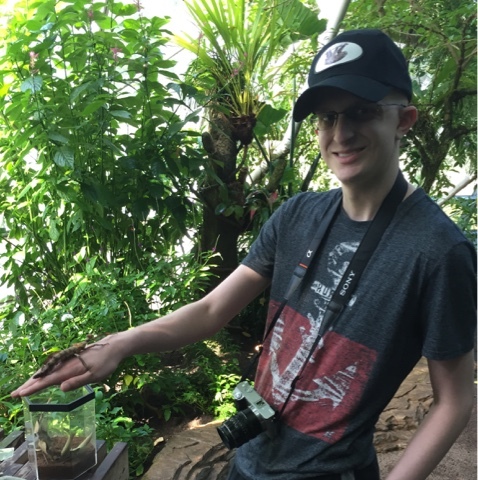 I took Robbie to the Butterfly Center. He has a stick insect from Australia on his hand. We went early and it was very quiet. The Houston schools still haven’t started back after the storms, so no little school groups. Robbie enjoys taking pictures and relaxing on the bench watching the butterflies. He looks much better today. He is weak, but is having a good day.